The University of Scranton fully embraces the leadership and service of its undergraduate, graduate, and professional students. As such, the University has established the Student Leadership Awards Program to recognize students for the contributions to student involvement, student organizations, community service and co-curricular excellence. 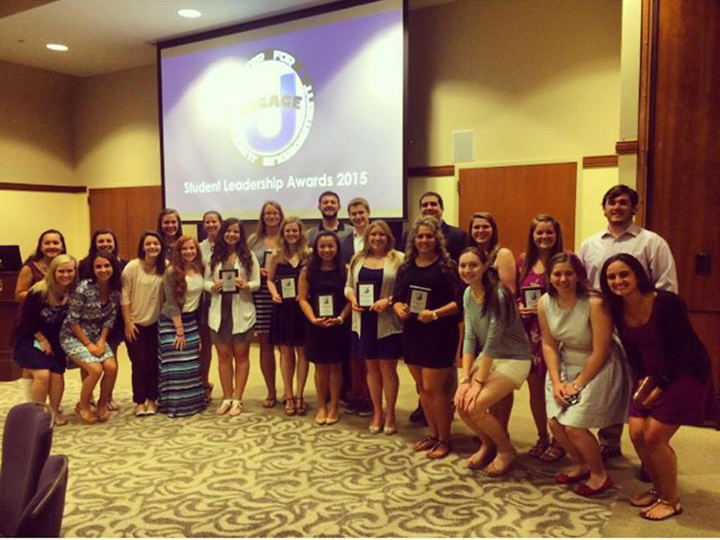 The Student Leadership Awards Program is administered through the Division of Student Formation & Campus Life and managed by staff in the Center for Student Engagement. The awards presented are considered the premiere awards at The University of Scranton for student leadership and service. in the Kane Forum in Leahy Hall. Nomination Process: All nominations must have the nomination form cover sheet with the information for the nominee and nominator clearly completed. All award nominations* will be submitted to the Leadership Awards committee for decision, so please include a narrative as to why you feel a group/individual should be considered for an award. All nominations should be approximately 250 words and returned to the Center for Student Engagement (TDC 205). No late nominations will be accepted. You can nominate yourself or another student/group.